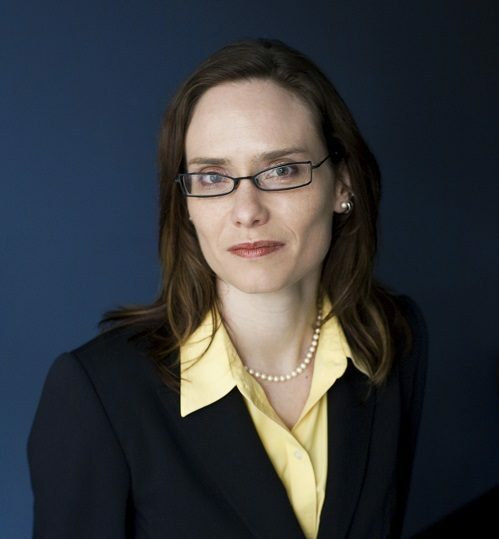 Maia Goodell joined Disability Rights Advocates in 2017 as a Senior Staff Attorney. Previously, she was Supervising Attorney of the Workplace Justice Project at MFY Legal Services (now Mobilization for Justice). Her work there included disability rights, re-entry, and other workplace discrimination and economic justice cases. Before that, she was a partner at Vladeck, Waldman, Elias & Engelhard (now Vladeck, Raskin & Clark), representing employees in discrimination and other employment cases. She also has experience as a fellow at Equality Now, advocating for women’s human rights, and a litigation associate at Foley Hoag LLP. She clerked for the Honorable M. Margaret McKeown on the Ninth Circuit Court of Appeals. Maia holds a Master of Laws (LL.M.) from Yale Law School, a J.D. from the University of Michigan (2001) and a Bachelor of Science from Stanford University (1993). Before attending law school, Maia was a Surface Warfare Officer in the U.S. Navy, serving in USS Abraham Lincoln and USS Port Royal.